I get no connection over ethernet to my HyperDeck! 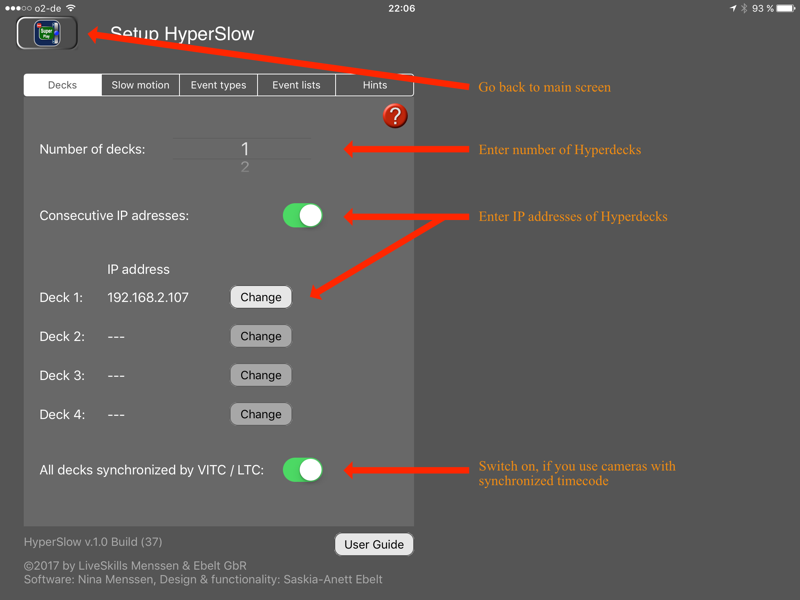 I doesn't get connection between HyperDecks and the HyperSlow app! The manual is available as PDF. Please click the button to start downloading. Please use the contact form or send us a e-mail to ObscureMyEmail with your inquiry. 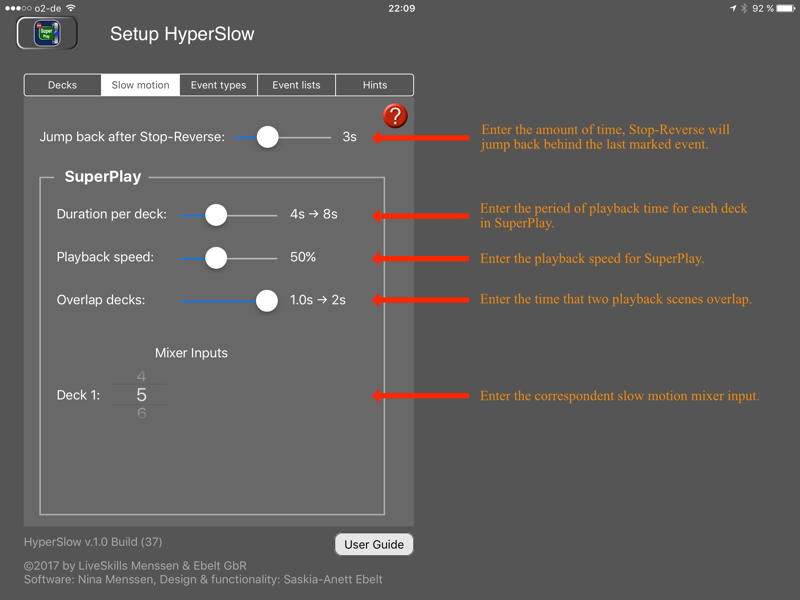 As “HyperSlow” cannot play back and record at the same time, you may need another Hyperdeck or recording device to continue recording while playing back slow motion material.